China’s stock market is in free fall right now, and has in fact been falling for about a month. Obviously, this is an important story: China is one of the USA’s biggest trading partners and the second largest economy in the world. However, American news outlets haven’t been covering it much, probably because economics is boring and confusing. 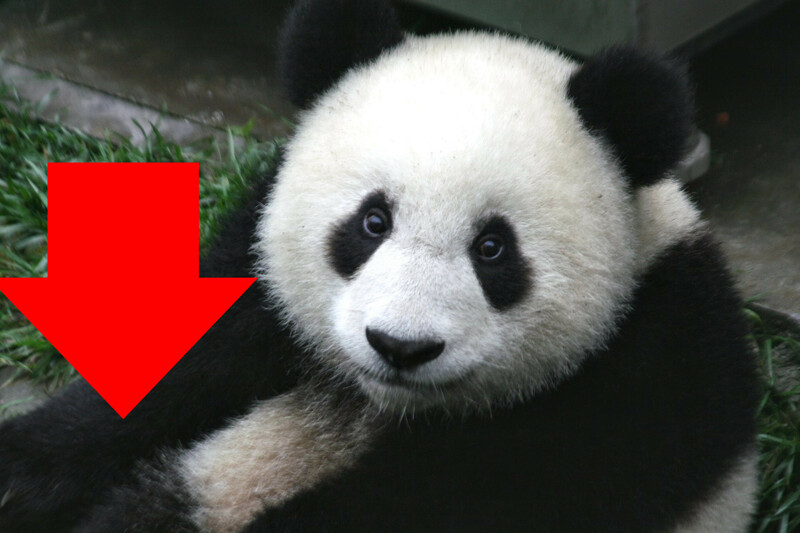 So, because numbers are dull and because Americans can’t talk about China without mentioning pandas, dragons, kung-fu, or General Tso’s Chicken, here are some videos of those adorable black and white bears you love so much falling down, just like the stock market. So! Chinese stock markets are doing badly. How badly? CNN reports that the Shanghai Composite has lost 32 percent since June 12. The Shenzhen market is down 41 percent. It was especially bad on what some are now calling “Black Wednesday” with the Shanghai Composite falling 8 percent, and Shenzhen Composite 2.5 percent. As a result, about 1,400 companies filed for a trading halt to prevent even more losses. According to the Bespoke Investment Group, China’s stock market has lost $3.25 trillion over the past month. China’s government is scrambling to fix the damage and save its collapsing market. Beijing has responded to Black Wednesday by ordering state-owned enterprises not to sell shares of their listed companies in order to prevent further losses. It has also frozen new share offers and set up a market-stabilisation fund, to no avail. It has even taken to begging ordinary Chinese civilians to support the stock market by buying and holding onto stocks instead of selling in a panic. Alas, The Economist suggests that the government’s interference reeked of desperation, thus driving shareholders into even more of a panic. Beijing does not have a terrific track record with preventing mass panic. Corralling the emotions of over a billion people is more than a little difficult. Plus, ordinary Chinese citizens don’t seem have a lot of trust in their government for some incomprehensible reason. Millions of ordinary Chinese citizens poured borrowed cash into shares, which inflated prices to unsustainable levels. When prices began to dip, these investors were forcing to sell shares to pay back the borrowed money and cover losses. That vicious circle of selling is creating “panic” and pushing down prices. This (the massive number of retail investors, not the panda) makes the market especially volatile. Furthermore, corporations in China don’t rely on stocks all that much, and local investors are unlikely to be scared off by the market crash. China’s citizens tend to look at the stock market as a place to make a quick yuan, not an overall indicator of the country’s economic health. China’s stock market simply isn’t linked to its nation’s prosperity in the way that America’s is. The real concern for those outside China is an economic slowdown and wider impact from a fluctuating stock market. Fears of a downturn in China have already hammered the price of commodities like iron ore and copper this week. In the longer term, this could also hurt places like Australia, which supplies of a lot of China’s raw materials.